Soursop has always been one of my favorite fruits. I’m always asked to describe the taste and to be honest it’s quite difficult to describe. When ripe the inside is soft and creamy and is slightly sweet and a slightly sour at the same time. One of my favorite ways to eat fresh soursop is to mix the pulp with condensed milk. Since living in the States, it’s very difficult to find the fresh fruit; I usually buy the frozen pulp and make a milkshake or in this case ice cream. 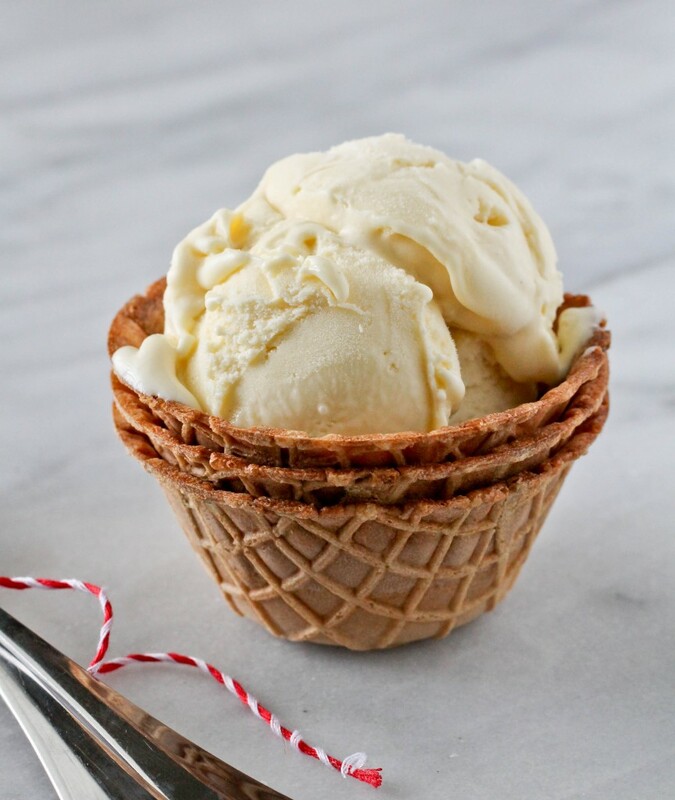 I used my go-to ice cream recipe from the NY Times as a base and modified it a bit. 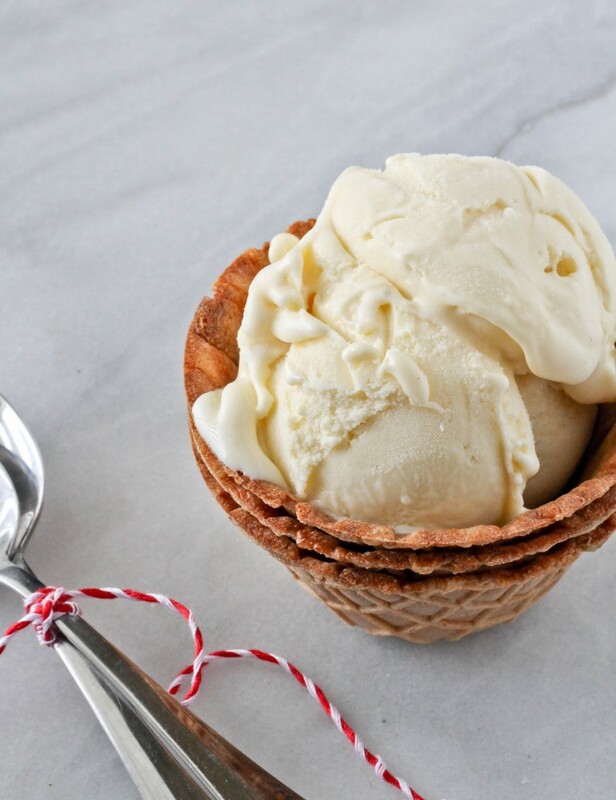 If you’re looking for a rich and decadent ice cream well look no further, this is it! In a small pot over low heat, add half and half, sugar and salt and simmer until the sugar dissolves. In a heat safe bowl whisk egg yolk then slowly pour the milk into the egg yolk mixture while vigorously stirring. Pour slowly to raise the temperature of the eggs; if you pour too quickly the eggs will scramble from the heat. Return to the stove and cook over medium low heat until the mixture thickens enough to coat the back of a spoon. Remove from heat and mix in pureed soursop pulp, sweetened condensed milk and nutmeg. Allow it to cool completely to room temperature then place in the fridge and let it chill for at least 4 hour or overnight. 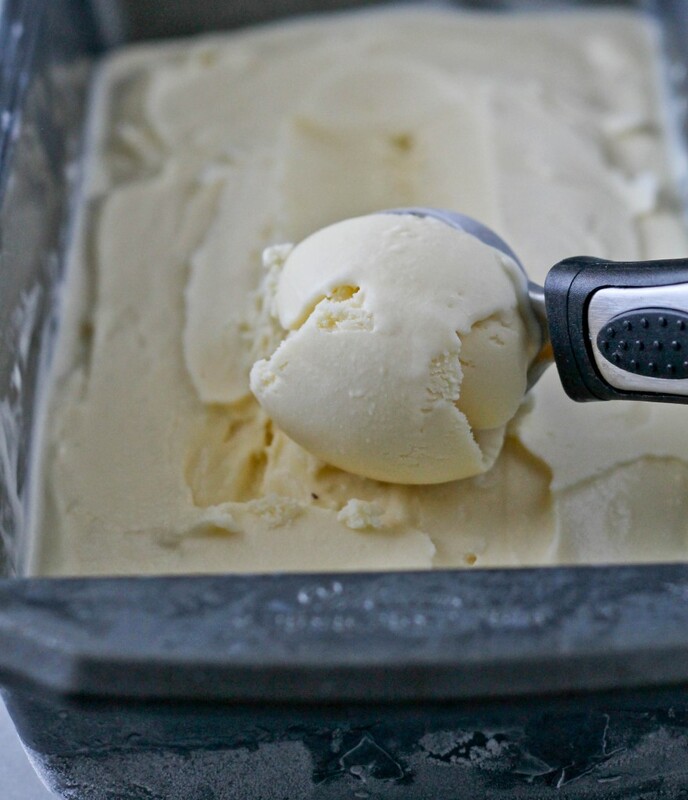 Churn in an ice cream maker according to the manufacturer’s directions. Can this be used for base using other fruit? Would like to use papaya. You can add other fruits but keep in mind the outcome could be different based on the amount of sugar in the fruit or the water content.